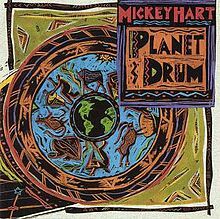 Planet Drum is a world music album by Mickey Hart, a musician and musicologist and a member of the Grateful Dead. Hart's concept for Planet Drum was to play with the best percussionists from around the world, and incorporate their different musical styles and traditions into a new global sound. The musicians on the Planet Drum album were from the United States (Hart), India (Zakir Hussain and T.H. "Vikku" Vinayakram), Nigeria (Sikiru Adepoju and Babatunde Olatunji), Brazil (Airto Moreira and his wife, vocalist Flora Purim), and Puerto Rico (Giovanni Hidalgo and Frank Colón). 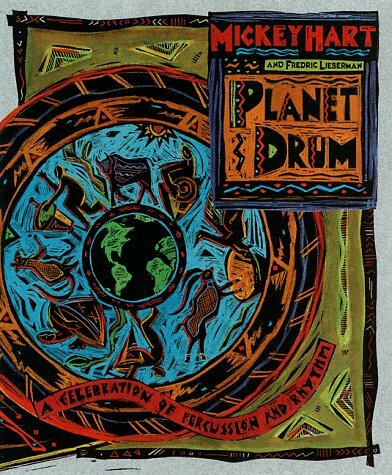 Planet Drum won the Grammy Award for Best World Music Album of 1991, the first year for which the award was given. It reached number 1 on the Billboard chart for Top World Music Albums. *Mickey Hart and 360º Productions are not affiliated in any way with The Planet Drum Foundation, a San Francisco non-profit corporation.